Former Al Jazeera America CEO Ehab Al Shihabi's name has been removed from the leadership masthead of the network's website. The ousted boss of Al Jazeera America who declared last week that he would remain at the company as chief operating officer has not been seen at the troubled news channel's New York City headquarters. The departure of Ehab Al Shihabi from AJAM was confirmed to CNN by two editorial employees in a position to know. An AJAM spokesman declined to comment. Al Shihabi's last appearance was at an executive dinner just hours after his replacement was named last week. Most of the invited executives assumed that the dinner at Craft restaurant in Manhattan would be canceled, in light of the extraordinary events that had transpired only hours earlier. The dinner had been planned weeks before last week's shakeup. The executives were seated at two tables, and according to one attendee, Al Shihabi didn't leave his seat to interact with anyone. One source said that Al Shihabi has relocated to Doha, home to the parent company Al Jazeera Media Network. His name and photo have been removed from the channel's leadership masthead. 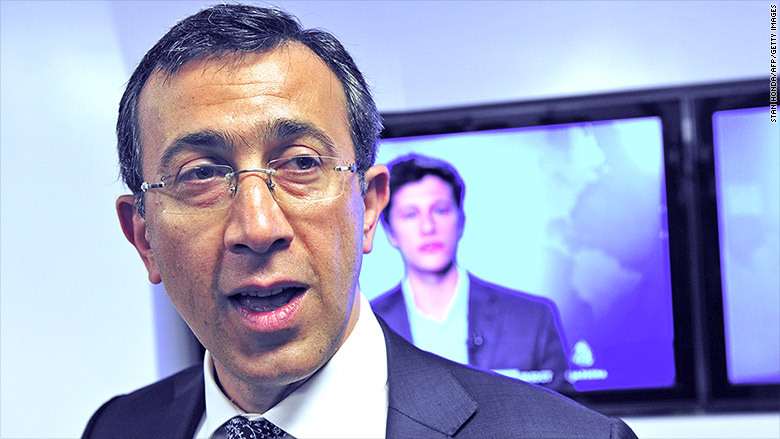 Last Thursday, AJAM announced that Al Shihabi had been replaced as chief executive officer by Al Anstey, previously the managing director of Al Jazeera English. The announcement was met with celebrations in the newsroom, but the jubilation quickly gave way to disappointment and confusion when Al Shihabi circulated an email to say that he would remain as COO. Despite Al Shihabi's email, a high level source at AJAM told CNN last week that he would not wield any authority. "Ehab will not be in a functional role," the source said. AJAM, which has struggled to build an audience since its launch in 2013, has been consumed with internal turmoil in recent weeks. The channel was hit with a lawsuit from a former employee who alleged that he was fired after complaining about an executive's alleged sexism and anti-Semitism. In the last two weeks, three high-profile female officials left the channel. One of those officials, former senior vice president of outreach Marcy McGinnis, told the New York Times that she resigned to escape the "culture of fear" instilled by Al Shihabi. It will be up to Anstey, who started in his new role this week, to clean up this mess. He addressed AJAM employees in an email sent Sunday, promising to host editorial sessions in the weeks ahead and to "outline the strategy for our future development and evolution." One of the sources at AJAM said the change in leadership has prompted a "palpable" mood change in the newsroom. "I think it's fair to say we're all very bullish and hopeful about Al," the source said. "We're kind of feeling like it was a one-person issue. It just so happened to be the guy with all the power at the top. He's gone now, and I think people are relieved and hopeful."